Following England's stoppage time victory over Tunisia, FIFA are apparently reviewing the use, or absence, of Video Assistant Referee intervention in Harry Kane's penalty appeals. The world governing body are also said to be planning a press conference to look at some of the most controversial decisions. They can add Neymar's disallowed penalty in Brazil's win over Costa Rica. 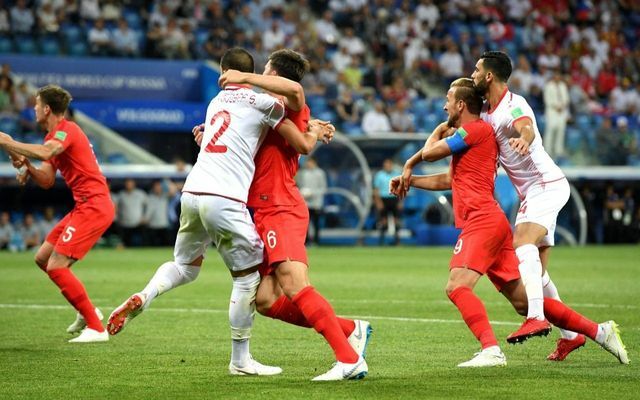 The new technology was subject to significant criticism following the England game, in which Kane seemed to be rugby tackled in the box and Ashley Young's arm appeared to meet Whabi Khazri's head. VAR is supposed to make the game fairer, so that a "clear and obvious error" can be rectified. But the World Cup 2018 has not yet struck the right balance for it to be a quick, effective and transparent system. Changing some of its features, so the players have a say and all stakeholders can see how it is operating, could lead to a lot more support for VAR. Football could maybe learn some lessons from other sports that have adopted video technology, and have taken these issues on board. For example, in hockey and tennis, the participants have the chance to make a referral and if the resulting decision goes their way, they keep their right to make a challenge. If the decision goes against them, the chance to challenge is lost. That gives the participants a real stake in what is reviewed, which no doubt both sides would have wanted on Sunday. Complaints have also been circulating about what the fourth official is reviewing, how much time VAR adds and how spectators cannot follow VAR referrals. Rugby union deals with this with a combination of limited camera angles (which speeds the process for spotting an infraction and reviewing it), showing the same angles viewed by the Television Match Official on stadium screens, and broadcasting the discussion between the ref and the TMO over Reflink radio. While the system isn’t perfect, it gives a much greater degree of transparency about the process. It is still early days for the VAR system, and increased communication from FIFA about how it has already been implemented might help. But some serious structural changes could do a lot more to create trust and build support for the new system. Fifa is to analyse the failure of video technology to award Harry Kane two penalties in England’s opening World Cup win over Tunisia. Horrific finishing by everyone else (especially Mr Lingard). Tunisia will win 2020 Olympics wrestling gold. VAR only works if they use the bloody thing.